Comedians including Angela Barnes have won the 2018 Edinburgh Comedy Award panel prize for an initiative offering free taxi rides to vulnerable fringe workers. The panel prize is awarded to a show, or, in this year’s case a group of performers, that encapsulates the spirit of the fringe. Barnes set up the Home Safe Collective with comedians Sameena Zehra and Pauline Eyre following the murder of comedian Eurydice Dixon, who was killed on her way home from a gig in Melbourne, Australia. The comedians created an account with taxi firm CityCabs, whose drivers are police checked, and women, trans or non-binary people and members of other vulnerable groups who may not be able to afford a cab home were able to register via email on the system to receive free taxi journeys. More than £5,500 was raised through donations on a Paypal Money Pool  towards Home Safe. The £5,000 in prize money from the panel prize will be donated to Home Safe and used for next year’s Fringe. 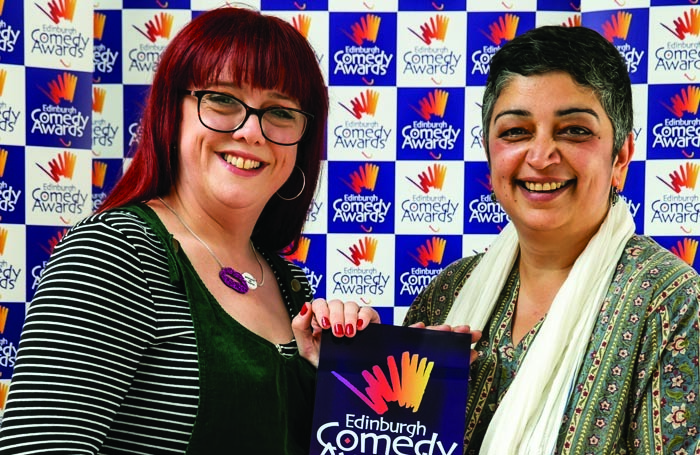 The award was announced at a ceremony at Edinburgh’s Dovecot studios on August 25, with the best comedy show award presented to Rose Matafeo and the best newcomer award given to Ciaran Dowd.